The Archibald Thorburn prints for sale below represent a small selection of the many Archibald Thorburn artist pictures and signed prints available. 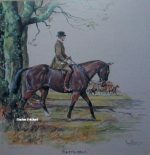 A Thorburn prints and book subjects include Bird, Game Birds, Birds of Prey, Wildlife and Shooting. 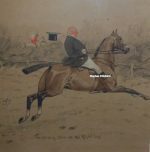 If there is anything in particular by Archibald Thorburn that you are looking for then please contact us on 07889 800857. Archibald was born at Viewfield House, Lasswade, Midlothian, the fifth son of Robert Thorburn (1818–1885), portrait miniaturist to Queen Victoria. His first education was at Dalkeith and in Edinburgh, after which he was sent to the newly founded St John’s Wood School of Art in London. His stay there was only brief, since on the death of his father he sought the guidance of Joseph Wolf. 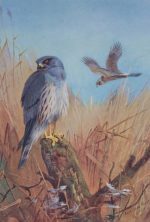 It was his commission in 1887 to illustrateLord Lilford’s Coloured Figures of the Birds of the British Isles, for which he painted some 268 watercolours, that established his reputation. He illustrated numerous sporting and natural history books, including his own. He taught Otto Murray Dixon and Philip Rickman (both in Nature in Art’s collection), and he encouraged the young Donald Watson when he came to visit him in Dumfries and Galloway. Thorburn was friends of other eminent bird illustrators including George Edward Lodge and John Guille Millais with whom he collaborated on a number of works including: Natural History of British Feeding Ducks; British Diving Ducks and British Game Birds. 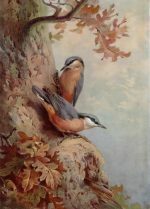 His paintings were regularly exhibited at the Royal Academy and he designed their first Christmas card for the Royal Society for the Protection of Birds in 1899, a practice that he continued until 1935. He was Vice-President of the Royal Society for the Protection of Birds. In the 1890s Thorburn became disheartened by the British Institution and had his work shown at A. Baird Carter of 70 Jermyn Street. On his marriage to Constance Mudie, Archibald Thorburn moved to High Leybourne in Hascombe in 1902, where he was to spend the rest of his life. In the 1930s he refused to make use of electric lighting, preferring natural light for his painting, and making use of lamps and candles. His grave is at St John the Baptist church in Busbridge, Godalming. View basket “Archibald Thorburn Birds of Prey prints portfolio” has been added to your basket.